Loving Sai Ram and greetings from Prasanthi Nilayam. 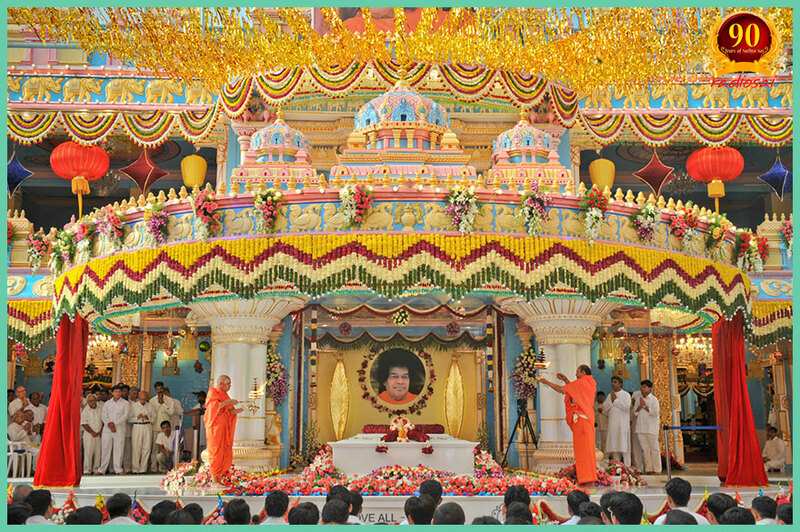 Today is Sri Sathya Sai Aradhana Day. Inevitably, my thoughts go back to this same date but four years ago, as must be the case with most of you. Next moment, Mr. Chakravarthi came on the line and said, “Doc – that was how he always addressed me – doc, please prepare an obituary note.” I asked in what style should it be. Since he was not prepared for that question, I cut in and said, “Do you want it done like what appears in say The Times of London?” “Yes,” Mr. Chakravarthi came back, and added, “it could be around 300 words. We want to release it to the press.” Immediately I got to work. The body worked like a machine while the mind was elsewhere, pretending that what had just happened was all a dream; in any case I was sort of numb to feel any ache. Inevitably my mind went to the events of the previous evening. As was our daily routine, Prof. Pandit and I went straight to Dr. Safaya’s office. For those who do not know, Prof. Vishwanath Pandit is a distinguished economist, one who has taught in Swami’s Institute since 1985, and also served as the eighth Vice Chancellor. Going back to what I was saying, Dr. Safaya was the Director, a post he was holding from before the inauguration of the Hospital on November 22, 1991. Like Prof. Pandit, Dr. Safaya also was originally from Kashmir, and they were old friends. At the time we went, Dr. Safaya was finalizing the daily medical bulletin for release to the press. Every day before we left, Dr. Safaya would invariably give me a copy of that day’s Medical Bulletin on Swami, for use by Radio Sai. 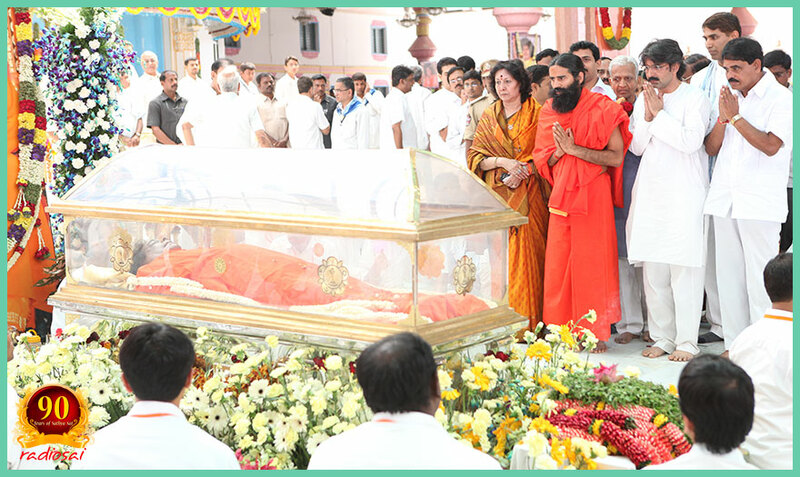 In between, the discussion would always be about Swami’s health and His condition at that particular time. I remember that about two days or so after He was admitted, Swami required the insertion of what is called a balloon pump which made the heart’s job of pumping a lot easier. It was about 7 PM that day, and an hour earlier, two doctors who had specially flown in from Bangalore by helicopter left, their job done. Thanks to Dr. Safaya, both Prof. Pandit and I were able to catch a quick glimpse of Swami as He was wheeled in on a movable special bed to the special ICU meant for Him. 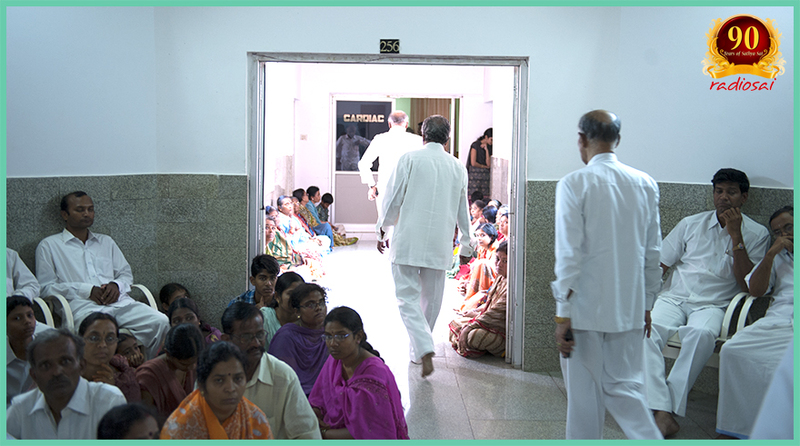 Dr. Safaya went inside along with Swami and the doctors, while Prof. Pandit and I sat on the chairs placed outside for folks like us. I honestly believed what I said because despite all the worldly signals, the idea that Swami could leave us was just unacceptable. “Damn the signals”, my mind kept telling me; “you know Swami can do anything, change day into night and night into day,” and so on. Thus, when on the morning of April 24, the phone call came from Mr. Giri, frankly, it was a call I was not ready to receive, though the medical reports of the last few earlier days were all pointing that way. I can’t quite remember how I went through the next three days. Of two things though, I am quite sure. The first was that suddenly, Radio Sai was landed with the biggest media job of its history. Of course, the public media which till the previous day was covering the story of Swami’s hospitalisation largely from the point of making hay by broadcasting a lot of negative propaganda suddenly found that Puttaparthi had now become the centre of the world as far as hot news was concerned. There were OB (outdoor broadcast) vans everywhere. Pool cameras organised by the State had to be positioned inside the Sai Kulwant Hall, and we had to give live feeds from those cameras to the entire world, even as both devotees and VIPs filed past the ‘body’. They came from everywhere, the VVIPs, the VIPs, and the ordinary folks as well. The township was crowded and some of our boys went to cover those events for history, especially because the outside media was least bothered about the people for whom came Swami. As I speak, all those scenes are going past my mind’s eye like a blur. But one thing was sure, busy though all of us were, deep inside there was a heavy heart, sunk in an ocean of personal grief to which we could not give expression because work had to go on. Came the last morning, i.e., when the physical remains were to be interned. The proceedings had its own momentum and the minute-by-minute program relentlessly maintained its tempo, with a strong national as well as a multi-faith flavour added to it. I sat through it all quite dazed, one side of me ever alert to practical matters and another side withdrawn into a different world with only Swami and me, and a deep ache within me about the loss of the physical form. It was about noon and people began to leave. As we did so, there were announcements informing us that the daily routine would return to its normal schedule with Vedam chanting and Bhajan singing in the evening. Evening came and the crowd had considerably thinned. There were just the usual people, all of them claiming their traditional seating, a privilege that had been summarily suspended from April 24 until internment. 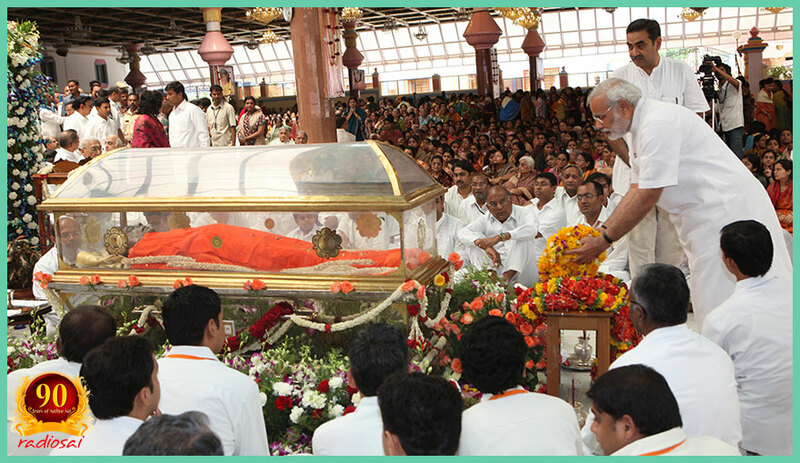 When Swami physically gave Darshan, I avoided the Veranda because although protocol-wise I was entitled to a prime seat in the front row, thanks to VIP rush it required some assertiveness to demand and retain the ‘seat’. I intensely disliked the idea of having to claim my seat everyday with some litigant or the other and preferred instead to sit in my old place, i.e., on the upper veranda, close to the main entrance to the Mandir proper. There were just a handful of us who preferred to sit in our old place, and this included Mr. Chakravarthi. 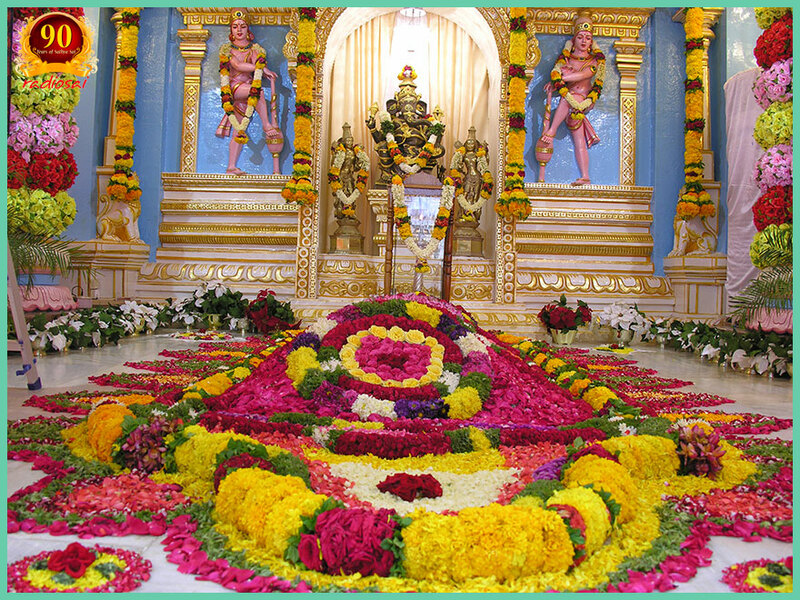 On this day of so-called return to normalcy when Swami would commence His Samadhi Darshan I went down to the veranda and with anguish saw a mound of flowers where Swami would normally sit or speak from. So many thoughts came rushing back. Stifling them as also tears welling in my eyes, I returned to my usual haunt, to sit through Vedam chanting and Bhajans. This went on for some days till one day the entire veranda area was shuttered up and closed for the construction of the Samadhi. 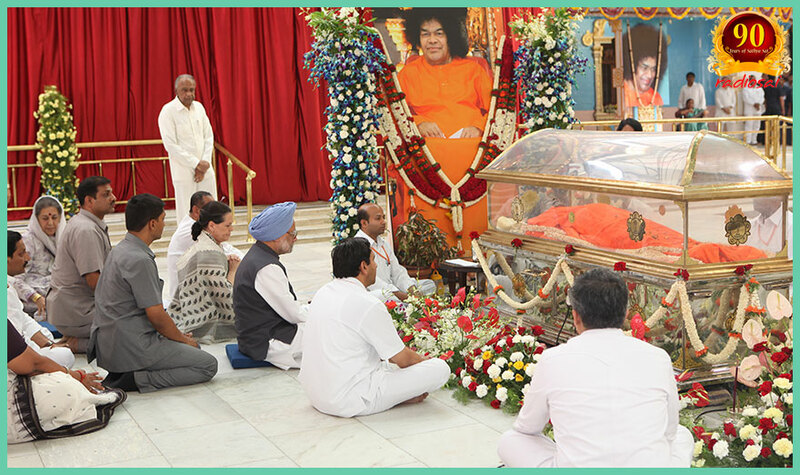 On Guru Poornima Day 2011, the Samadhi as we now have was opened to the public, and the daily as well as the special routines went back to the format of the days when Swami would physically sit in the lower veranda. Some things have changed in the post-Mahasamadhi era, necessarily so, while others have not, for obvious reasons. Click Here to Watch the first part of an interview with Mr. K. Chakaravarthi, Trustee, SSSCT, where he reflects on the poignant events of April 2011 and how that traumatic event has subsequently changed his life and thinking, and inspired him to work for Baba's mission with renewed energy and vigour. So, how easy or rough was the transition to the “post-Physical Form era”? In other words how did Prasanthi Nilayam (meaning really the Central Trust) make the transition and what has it been doing since then to keep the flag flying, shall I say? I think as I reminisce, a few words on this subject are needed. To start with, all of us hoped and prayed that Swami would stop with just giving us a terrific scare, not leave us but that was not to be. As Swami Himself has declared many times, “God does not consult anyone about when and where He would incarnate. Nor does He make known widely whom He would choose as His bodily parents, the time of incarnation, etc.” Swami also made it very clear that the same freedom is available to Him as to when He would bring the curtain down. That being said, it is clear that Swami’s withdrawal did not come as a surprise. From the daily bulletins which were becoming increasingly ominous, it was clear that the end was nearing. But when the withdrawal actually happened, there was a widespread sense of deep shock, for it hit us all that none of us could now run to Swami for advice. Furthermore, the Mahasamadhi meant that overnight, the world would be focussed on Puttaparthi/Prasanthi Nilayam for next several days and, whatever people might say, it indeed has turned out to be that way. Getting back to the Mahasamadhi event, handling the large crowds and preserving order was a huge task in itself. Then there was the Media, global media as it turned out. Add to that the additional burden of VIPs and VVIPs of all genres and the Prime Minister himself showing up suddenly; I must say that by Swami’s Grace, things went off smoothly. You know something? When the then Prime Minister Dr. Manmohan Singh and Mrs. Sonia Gandhi came to offer their respects, they sat on the ground just like all of us did. They sat momentarily on a chair only to sign the condolence book – that is all. After the Mahasamadhi event was over, it was now the turn of the local media to have its day by trying to “confront” the Trust Members. The Members of the Trust were most patient. They addressed several Press Conferences – I know because our boys taped all of them – and finally that buzz died down. Sections of the foreign press that lecture endlessly on accuracy, objectivity, freedom from bias, etc., had their day, with some being crudely brash in their obituary notices, while others tried to act “fair”, meaning that they gave equal prominence to Swami and to those who were against Him – this is how the Media does a balancing act. His answer surprised me; he said, “I would have to give time to anti-Jesus views! That is the way the world is presently. All I can control is the ratio. My most favourable documentary would have a 60/40 ratio, that is to say 60% would be positive while 40% of the time would to be given to the negative side.” It so happened that some years later, many produced documentaries that were 100% against Swami; it seemed as if so-called “reasonable fairness” had now given way to total unfairness and got away with it. It took me some years to understand that negative actors are a part of the Divine Drama. In fact I have heard Swami say that it is negative actors who enable devotees to appreciate His Glory better! I am mentioning all this because there was a lot of nonsense written and said at the Mahasamadhi time. Mercifully, the relentless flow of Time has since swept all that muck away. 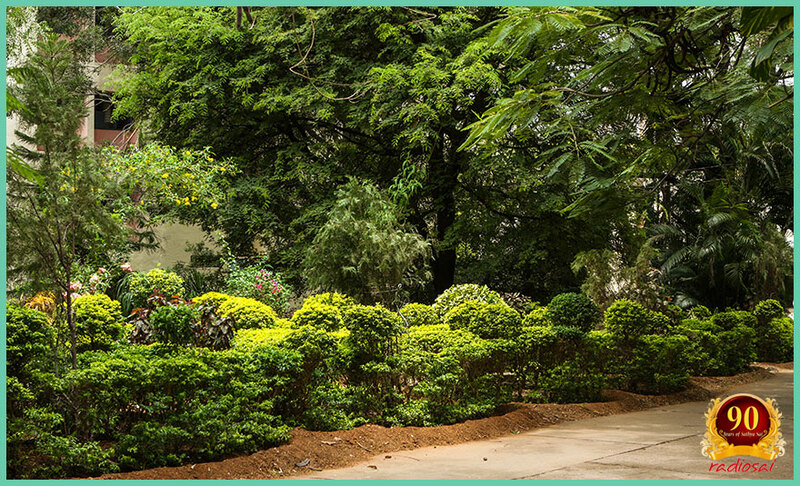 In the years that have followed, the Trustees who also happen to be permanent residents of the Ashram have made three major contributions. 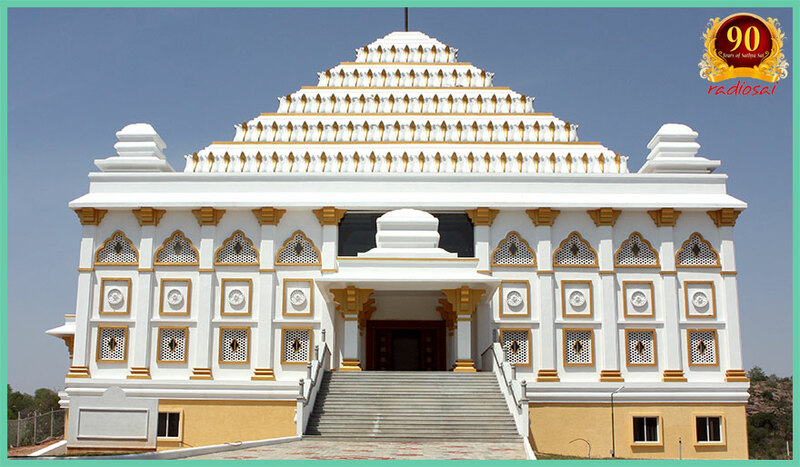 First, they have managed to stabilize the functioning of the Ashram, in a new post-Mahasamadhi era. 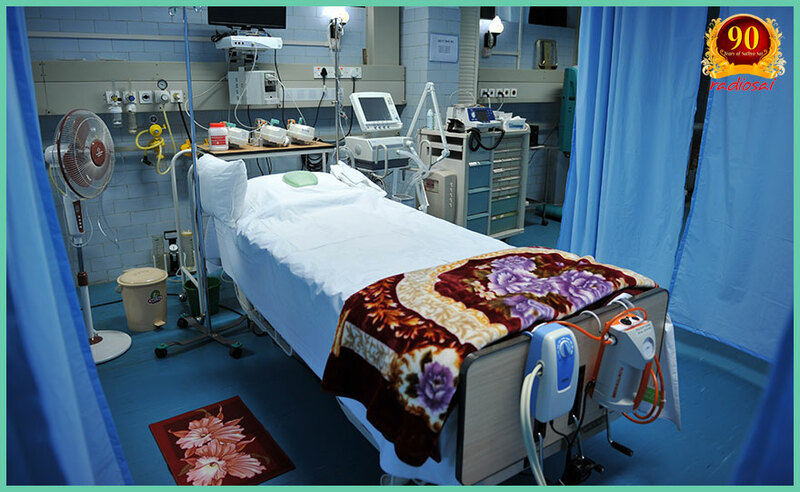 Secondly, they have started improving some of the facilities and conveniences. For example, the roads, though far from perfect, are in a much better shape than before. There are also many sign boards, which we lacked even at Mahasamadhi time. And, more than anything else, the place is a lot greener. I know this because I go for a walk every night. I completely agree that a lot remains to be done but then be assured that from now on the pace of improvement would gather pace. And, if I may blow our own trumpet, i.e., that of Radio Sai, I can say it has leapfrogged enormously, especially on the video front. All of a sudden, the demand for our expertise has sky-rocketed. 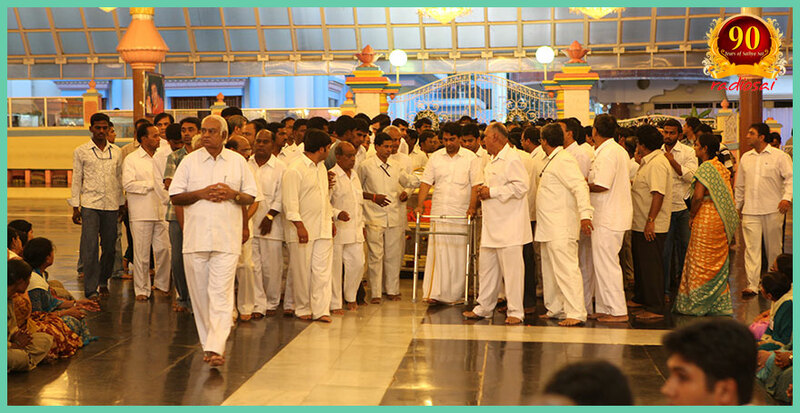 Just to give an example recently, on one particular day, our boys had to cover a function here in the Sai Kulwant Hall, cover the Athi Rudra Maha Yagnam going on in Brindavan, and also help with video coverage of a function in the Super Hospital here! 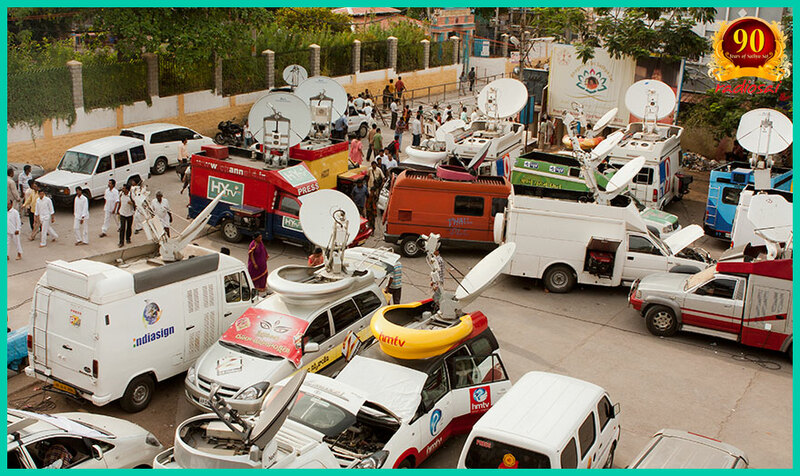 I mean our boys had to provide coverage for three functions in one day – that is how much our load has increased! My point is that there is a new tempo that has started building up, boosted in part by the rapid approach of the 90th Birthday. I shall arrange for a companion article to be published on our website where we shall not only give full details of what Radio Sai has been doing in the post-Mahasamadhi period but also what we plan to do during the decade to the Centenary, i.e., the 100th Birthday in 2025. And by the way; I almost forgot to mention the archive. Over the decade, Radio Sai has been quietly collecting audio tapes, photos, hand written manuscripts, letters, video tapes and films (both 8 mm and 16 mm) related to Swami and His various trips. In fact a new building is coming up to house all these precious originals. Pictures of the building, along with a good write-up would appear as a part of the companion article promised earlier. The article would also include two satellite pictures of Puttaparthi and the Ashram area, one taken in 2003, and a more recent picture taken in 2012 and at a higher resolution. 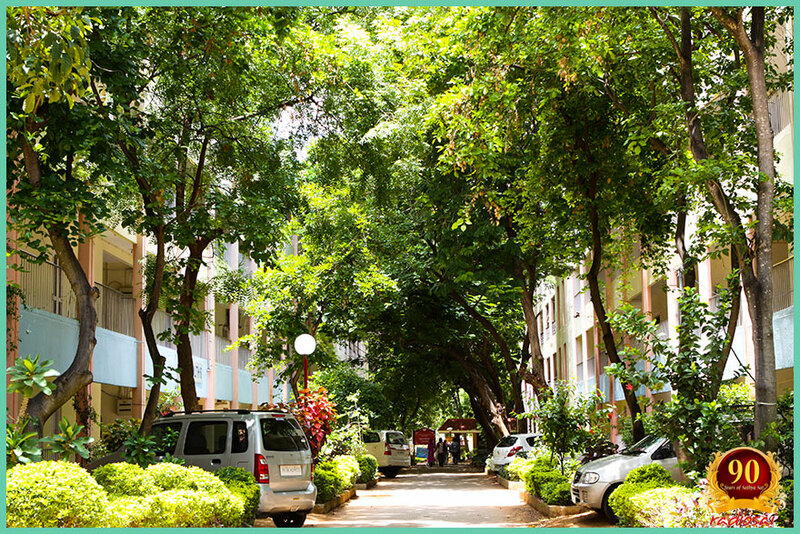 By comparing these two, you can see that how much greener the Ashram has become during a decade. If you want further proof, take a good walk and you would know! There are many things I would like to say but presently, I do not have time enough for it. 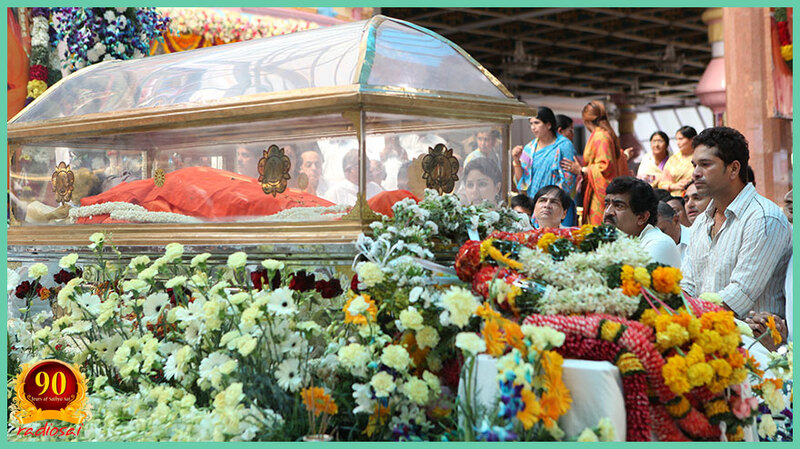 Those of you, who tuned in to the special function held this morning, would not have missed the inauguration of the reverential presentation of the Sai Pancharathna Kirthanas. This musical offering is being made in the same spirit as the observance of Tyagaraja Aradhana Day which, by the way, celebrated its 168th anniversary this year. That means that the observance of the Tyagaraja Aradhana goes back all the way to 1847, when the East India Company ruled India, the American Civil War was till a decade or so away, and James Clerk Maxwell was still to write down his famous electromagnetic theory of radiation, thanks to which we now have radio, TV and satellite communication! What I am trying to say is that in the years to come, I do hope that worship of God through reverential music which has always been a great tradition in this country, Naadopasanaa as it is known, would live as would the singing of Sai Pancharathna on Sri Sathya Sai Aaradhana Day, indeed in all parts of the world where Carnatic music is popular. If Tyagaraja Aaradhana is celebrated in fervour all the way from Cleveland, USA to Melbourne, Australia by the singing of Tyaragaja Pancharathna Krithis, then why not the singing of Sai Pancharathnas also?